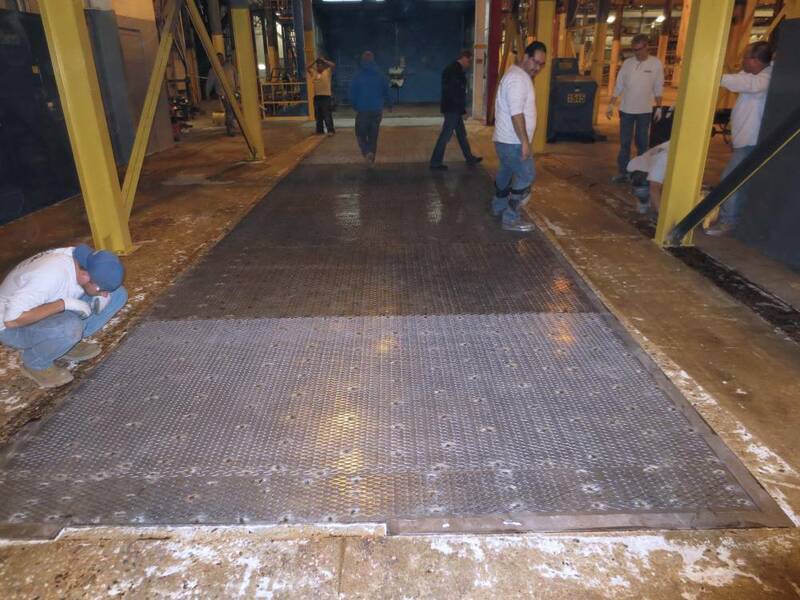 Shot Blasting Booth The metal deck outside of a shot blasting booth for heavy equipment was creating a slip hazard when metal shot from the booth would accumulate. Additionally, concrete around the deck was spalled. 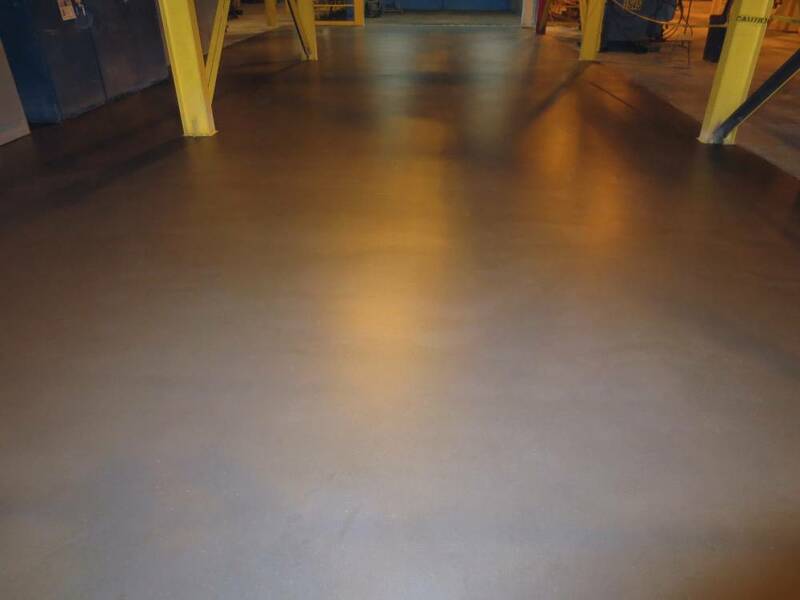 Shot Blasting Booth Urethane concrete was the desired solution, however bonding to a metal deck is challenging. 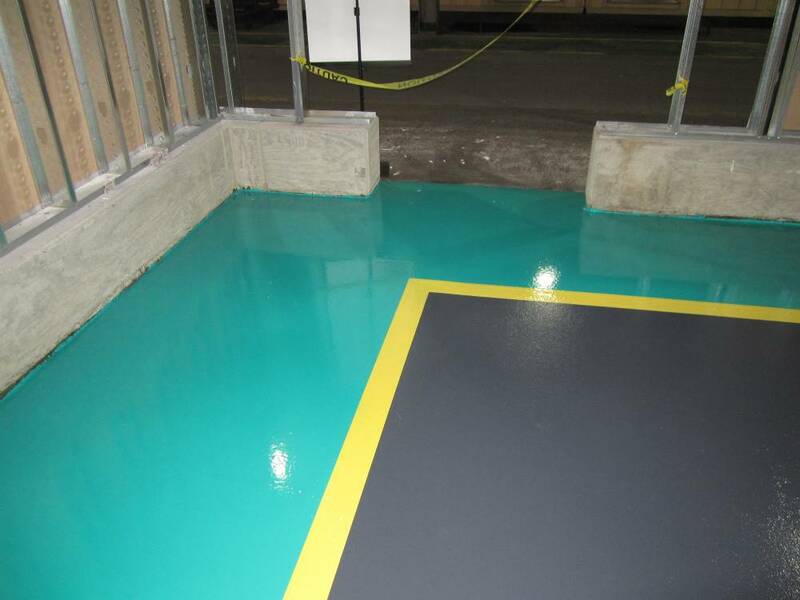 Shot Blasting Booth PermaFloor devised a solution by welding a metal screen to the deck which then allowed the urethane concrete to form a strong bond. 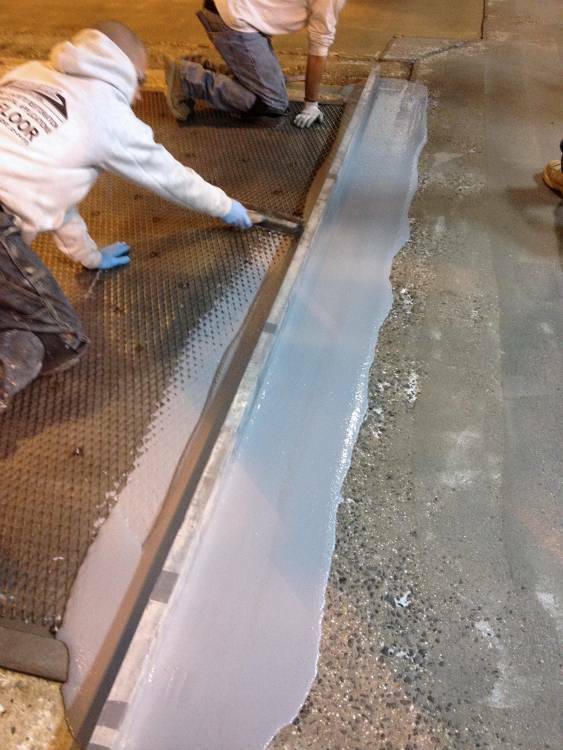 Shot Blasting Booth Urethane concrete is applied to the screen and used to patch damaged areas nearby. 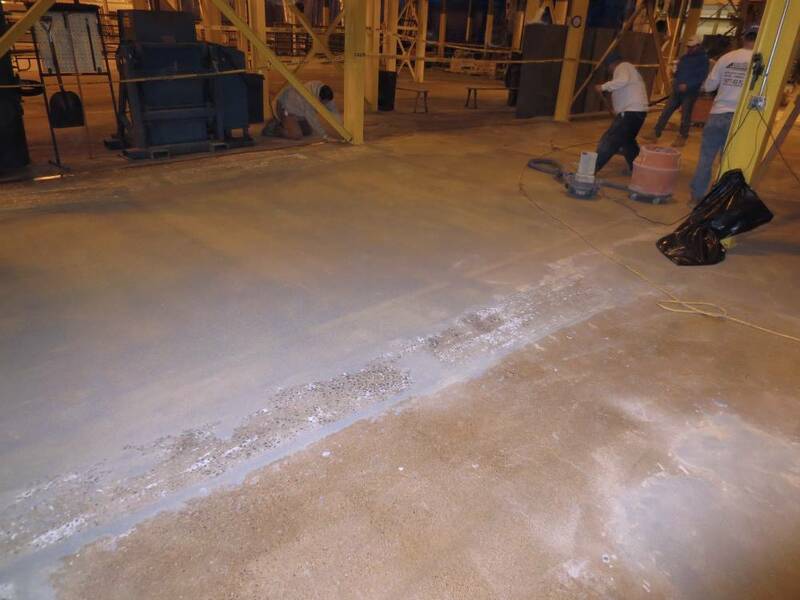 Shot Blasting Booth Slip-resistant aggregate was broadcast applied. Shot Blasting Booth Here the excess slip-resistant aggregate is being removed. Note the dried spalling repairs. 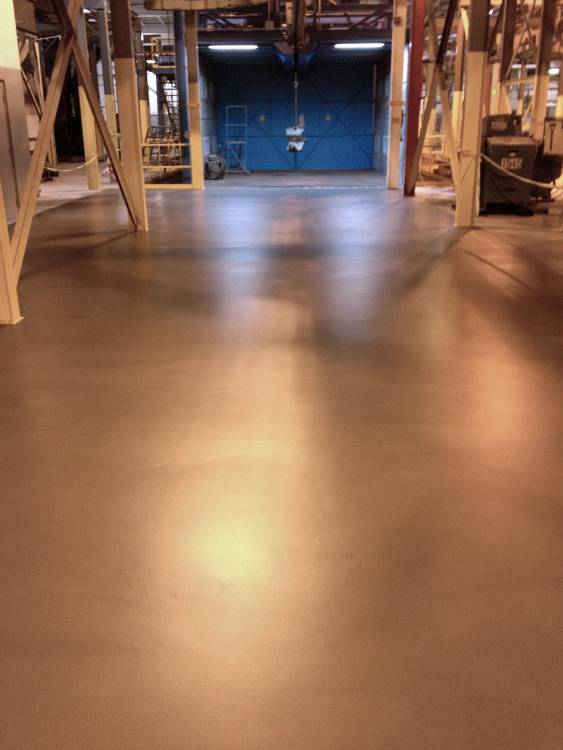 Shot Blasting Booth The new urethane concrete flooring is tough enough to withstand this rugged environment. 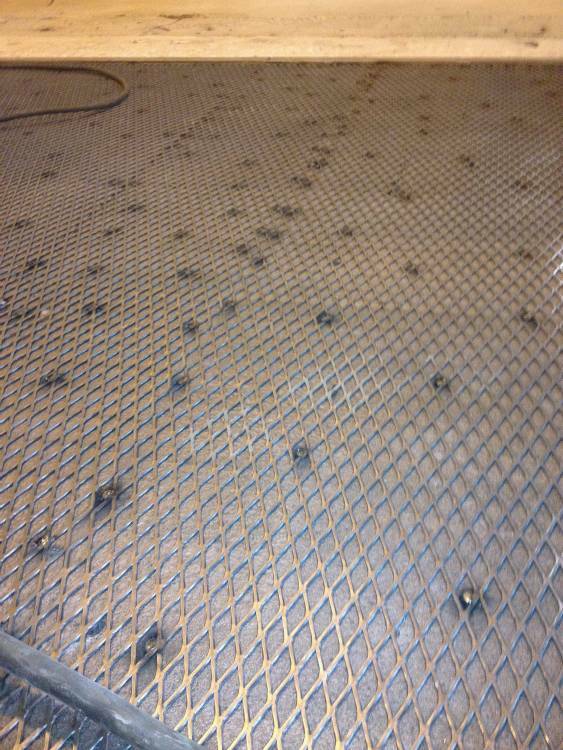 Shot Blasting Booth The final deck area is slip-resistant and blends nicely with the surrounding area. 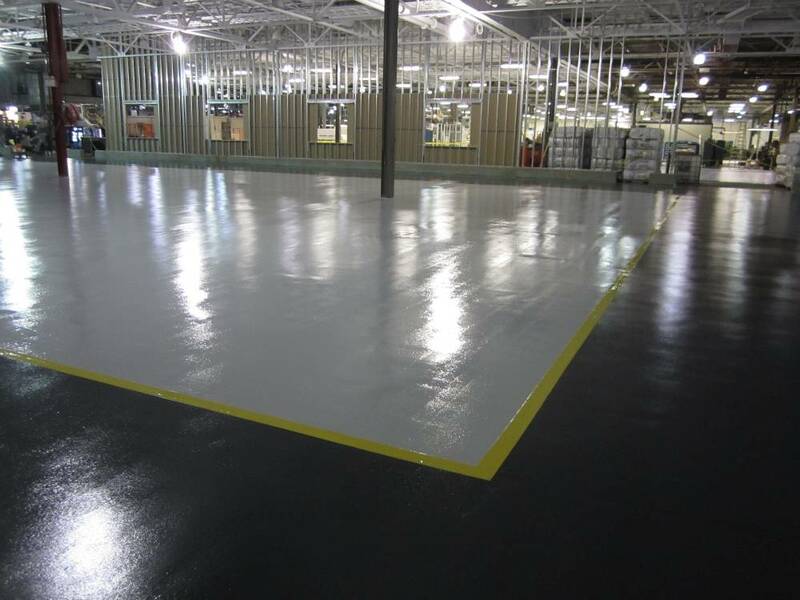 A gloss top coat with final satin finish was used. 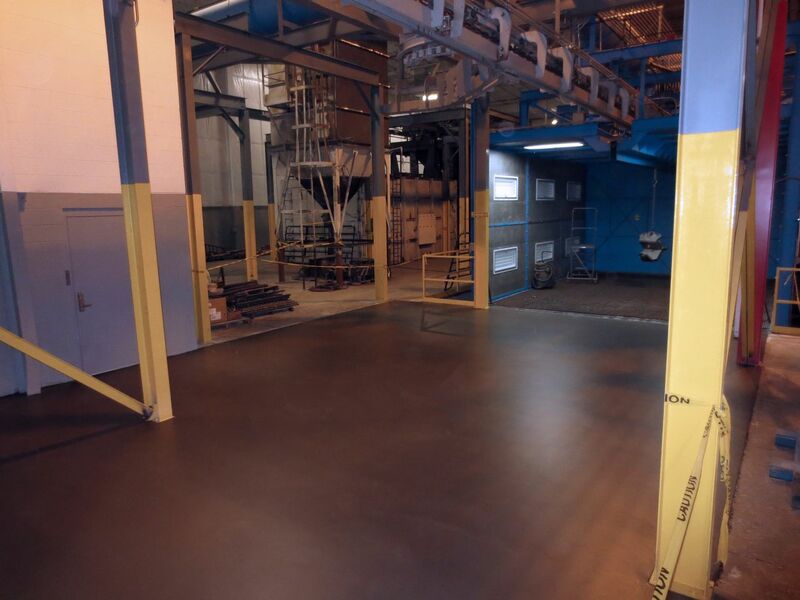 Shot Blasting Booth Clean-up of loose shot blast will now be easier and the work environment safer. 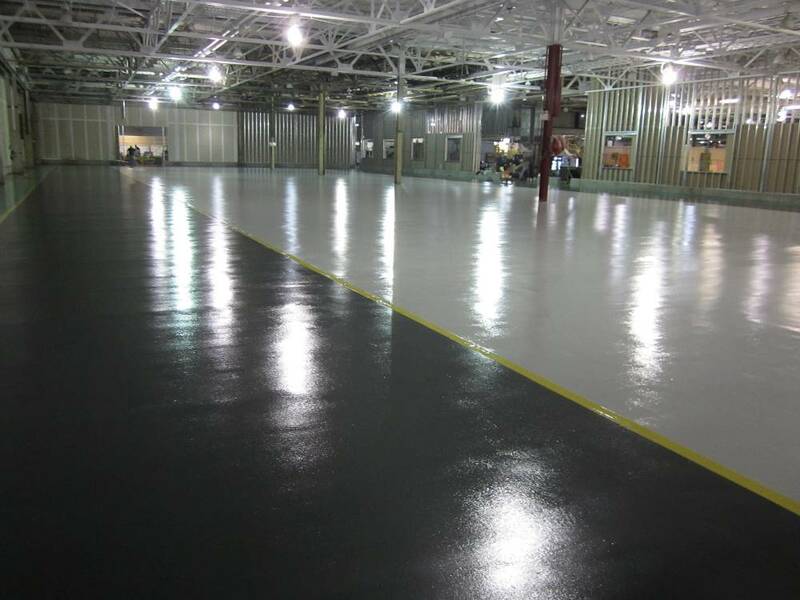 Hagerstown Facility Power-trowelable epoxy mortar system was used to lay new flooring in this large manufacturing area. 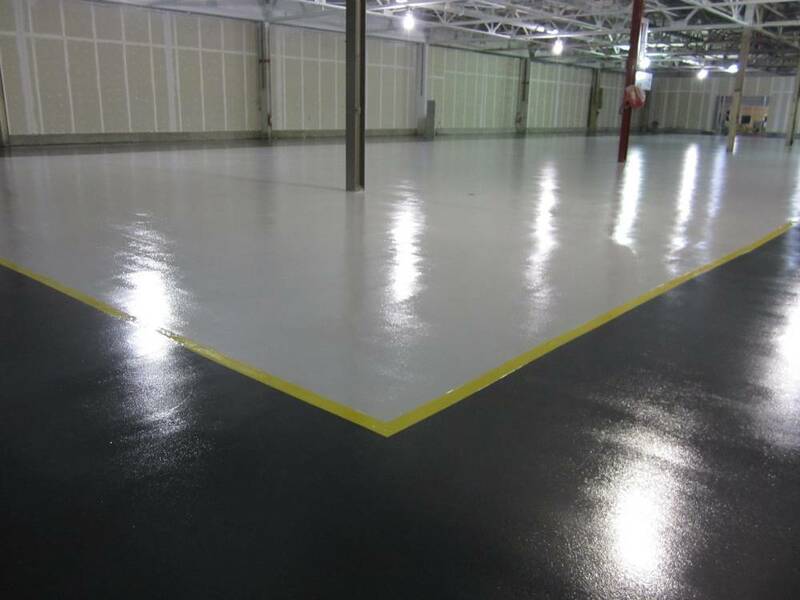 Hagerstown Facility These types of formulations will hide surface imperfections and can be used to reprofile floor slopes. 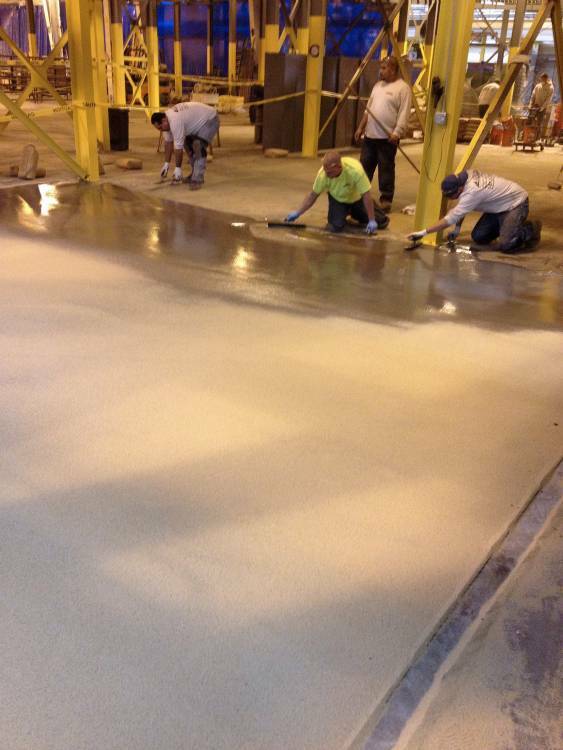 Hagerstown Facility Power-trowleable formulations also allow for faster application within large areas. 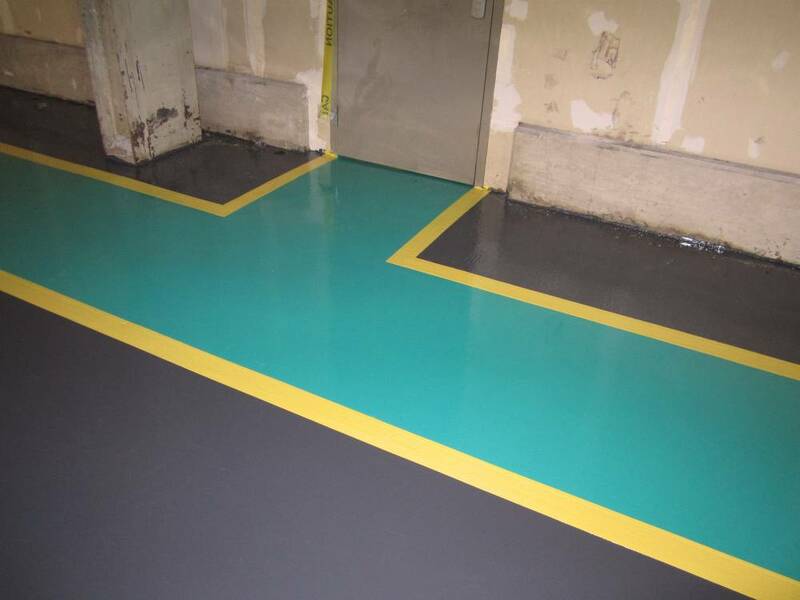 Hagerstown Facility Decorative custom colors were used to delineate walkways. 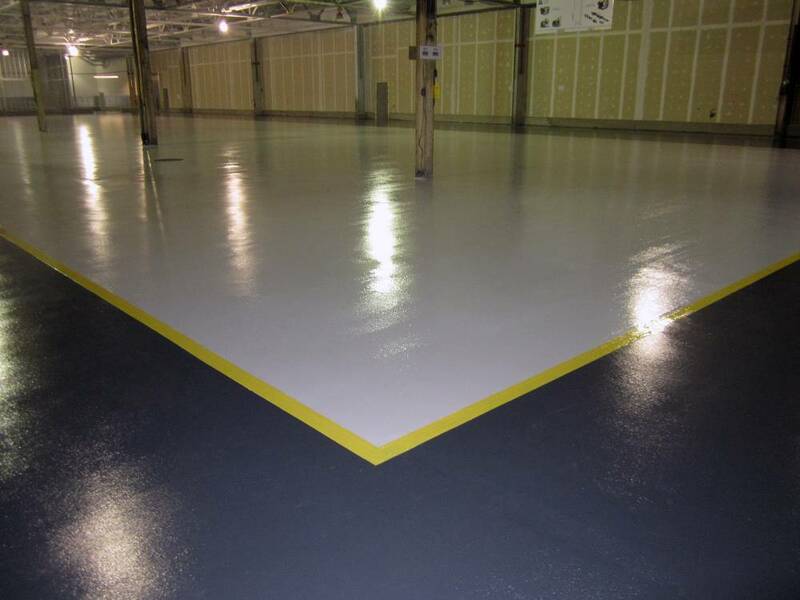 Hagerstown Facility PermaFloor can mix custom colors at your request. 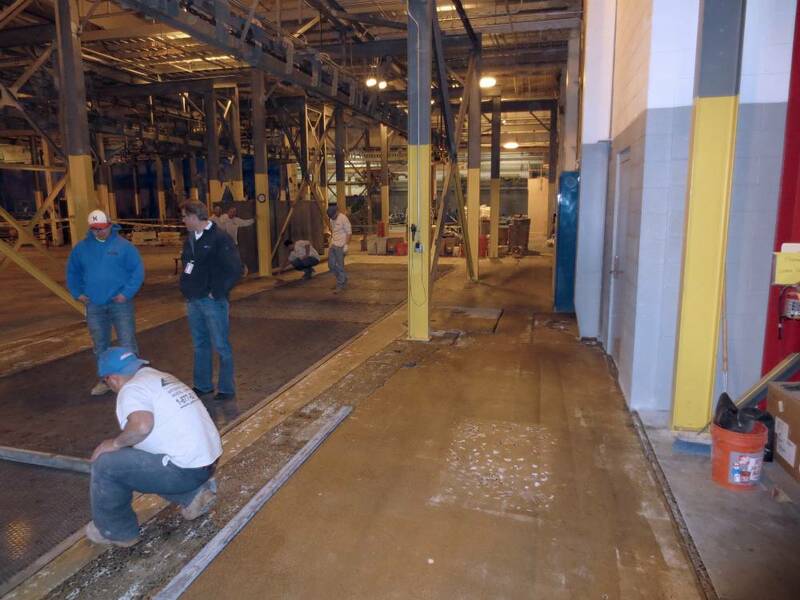 Hagerstown Facility Anti-slip aggregate was broadcast applied to create a safer work environment.